Is nuclear energy considered renewable energy? How cost effective are renewable energy solutions? Is it possible to stop using coal/nuclear energy in the next 25 years? 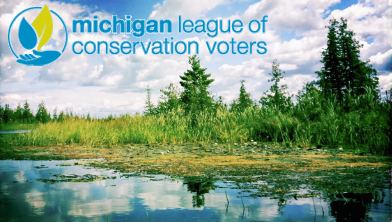 The Michigan League of Conservation Voters was thrilled to host this live event to discuss clean, renewable energy and energy efficiency in the state of Michigan with State Rep. Bill LaVoy (D – Monroe). Rep. LaVoy represents Michigan’s 17th State House District and is currently the Minority Vice-Chair of the House Energy Committee. In under an hour, we covered topics ranging from the role of residential solar to whether geothermal counts as efficiency or renewable energy. The takeaways were clear though: Clean, renewable energy is already spurring economic growth right here in Michigan, with more than $2.9 Billion in direct investment in Michigan’s economy. And now it is up to Michigan lawmakers, with our support, to take these successes and run with them.